The highly-anticipated Nokia flagship has been under development since earlier this year and, while it’s no longer expected to make an appearance until 2019, a new leak has revealed a few extra details about the smartphone. Since the brand was re-introduced last year, all Nokia devices have been developed by HMD Global. However, the company in charge of manufacturing these is actually FIH Mobile (a subsidiary of Foxconn, which itself produces Apple’s iPhones). 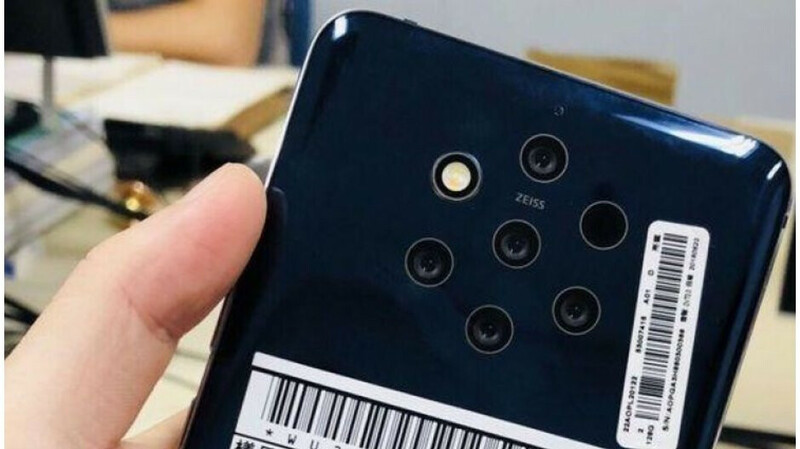 It is on this company’s servers that new data has been found which points towards “Olympic” being the codename of the Nokia 9 PureView. Now, HMD Global hasn’t confirmed this codename officially but it certainly makes sense. After all, the Olympic symbol contains five rings, which is the same number of rear cameras that are expected. In addition to this, the flagship now appears to be running Android 9 Pie complete with the November security patch. This suggests that it will indeed come running the latest version of Android when it launches next year, just as expected. For those unaware, HMD Global initially had plans to release the Nokia 9 PureView this autumn. Due to certain features which weren’t up to scratch, though, the company delayed the smartphone’s unveiling until early 2019. Looking forward to this Nokia! I really can't wait to finally see them release a proper Lumia 1020 successor and this looks to be that. I'm really intrigued about the functionality of five lenses though. Realistically, I feel that a three lens system with a normal, telephoto, and wide angle lens covers all the bases so this should be interesting. CES 2019? I think MWC is more likely as they don't really have much of a presence in the US at the moment. Sounds great. I just hope that the delay in releasing this smartphone results in HMD using the SD855. That would be a pleasant surprise. They are making a big mistake by delaying this phone. By the time it gets ready to release, assuming that it does, it will be too late. And I still can't fathom that ridiculous camera setup in the back. How can one judge if they are “making a mistake by delaying this phone” or if “it will be too late” when it’s released if we don’t have any solid info to go on about the entire setup of this smartphone? Why would one assume this? I’d rather go by what the people who are actually making the Nokia 9 have said, which is that they needed to make improvements on it. We don’t need more half-baked products like the Essential Phone or the Pixel 3/3XL, the latter of which is the ugliest smartphone in recent history. So what does the Essential phone and the Pixel phones have to do with this article? It's called my opinion and I don't need your permission to voice it. You act like what I said is going to really effect the phone or something. Calm down and let it go already. It's called a comparison, and it's perfectly acceptable for the point that I was making. Things like that don't just work when it's in your favor. That's not how this works. No one said anything to you or about your opinion, so stop getting so defensive and stop attacking me for voicing mine, as I don't require your permission to voice it. You act like what I said is really going to effect the Pixels and Essential Phone. Calm down and stop getting so triggered every time I make a comment. So you were trolling? I pretty much did the same thing, but you of course threw a hissy fit as usual. You don't get to do what you don’t want others to do. So then you admit that you were trolling on a recent Nokia article? Because you're pretty much throwing a tantrum right now and trying to say that I am when I was making a comparison like you say you were. You don't get to say other are trolling but you're not trolling when others do exactly what you say you were doing. No, you essentially implied that I was just because I made a comparison, same thing you are doing right now. You should switch to your new account and agree with yourself again. All you just said was a bunch of jibberish because you've been caught trolling by me. You should create a new account like you have done 10 times already and stop accusing people people of doing what you do because they put you on the spot for attacking them for agreeing with me.